What’s in store for Christmas? Naughty dinos! Yup: they’re running rampage in the store! Oh dear! 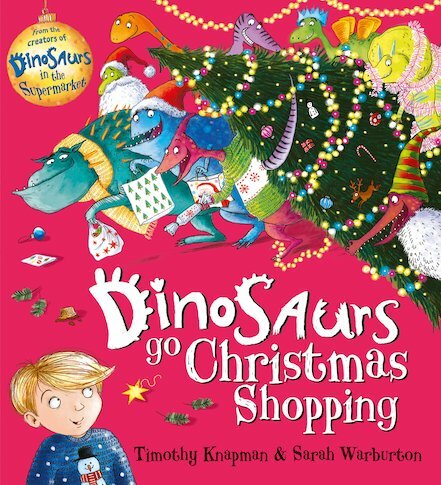 In this cheeky rhyme, the dinos have stuffed their carrier bags full of presents. Now they’re running off with the tinsel, the crackers and the tree as well! If nobody takes charge, Christmas will be ruined. Luckily, the hero of this story has dealt with these cheeky dinos before. He may be small, but he’s going to give them a piece of his mind. They need to sort out the mess, clean up and put everything back in time for Christmas. Will the dinos listen? You bet!